MANILA, Philippines Philippine President Benigno Aquino III said Sunday that his government has reached a preliminary peace agreement with the country's largest Muslim rebel group in a major breakthrough toward ending a decades-long insurgency. Aquino described the deal in a nationally televised announcement as a "framework agreement"  a roadmap for establishing a new autonomous region to be administered by minority Muslims in the predominantly Roman Catholic nation's south. It follows marathon negotiations between the government and the Moro Islamic Liberation Front in Malaysia, which is brokering the talks. The agreement, which is to be signed on Oct. 15 in Manila, spells out the general principles on major issues, including the extent of power, revenues and territory of the Muslim region. 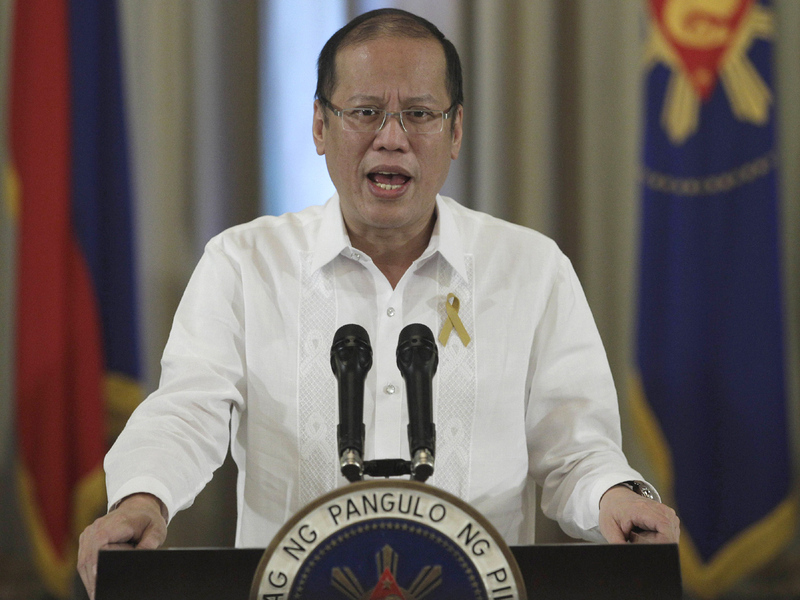 If all goes well, a final peace deal could be reached by 2016, when Aquino's six-year term ends, officials said. "This framework agreement paves the way for final and enduring peace in Mindanao," Aquino said, referring to the Philippines' main southern region and homeland of the country's Muslims. "This means that the hands that once held rifles will be put to use tilling land, selling produce, manning work stations and opening doorways of opportunity." He cautioned, however, that "the work does not end here," and that the two sides need to thresh out the accord's details. The deal marks the most significant progress in 15 years of on-and-off negotiations with the 11,000-strong Moro group on ending an uprising that has left more than 120,000 people dead, displaced about 2 million others and held back development in the south. Western governments have long worried that rebel strongholds could become breeding grounds for al Qaeda-affiliated extremists. Filipino militants free U.S. teen held 5 mos. Philippine officials said the preliminary accord would be posted on the government's website for public scrutiny, and would be signed in Manila in the presence of Aquino, Malaysian Prime Minister Najib Razak and Moro rebel chief Al Haj Murad Ibrahim. "It's been a long journey and this is an important milestone in our search for lasting peace," presidential peace talks adviser Teresita Deles told AP. The new Muslim region would be built upon an existing autonomous territory, among the country's poorest and most violent, with more than 4 million people living in five provinces, two cities and 113 towns. In Kuala Lumpur, Philippine government negotiator Marvic Leonen said both sides face the enormous task of working out the details. "We are not naive to say that there would be no obstacles. But the Philippine government will defend the agreement," Leonen said. "It's pragmatic, constitutional and a democratic process." One of the hardline rebel commanders, Ameril Umbra Kato, broke off from the Moro rebels last year and formed a new group opposed to the talks. Kato's forces launched attacks on several army camps and outposts in August, prompting another army offensive that killed more than 50 fighters in the 200-strong rebel faction. The Moro Islamic Liberation Front itself broke away in the 1980s from the Moro National Liberation Front, which signed a 1996 autonomy deal with the government. That peace accord did not lead to the group's disarmament and many of the rebels have simply laid low in the south, still demanding that the government fulfill its commitments, including jobs, security and economic development. Some former guerrillas also formed a small but brutal al Qaeda-linked group called the Abu Sayyaf, which became notorious for bombings, ransom kidnappings and beheadings until U.S.-backed Philippine military offensives routed many of its militants. They are mostly based in the southern provinces of Sulu and Basilan, where about 400 gunmen remain.